What do you do with the whey left over from making paneer or homemade cheese? You can buy the flours or make your own. I like to grind my own. 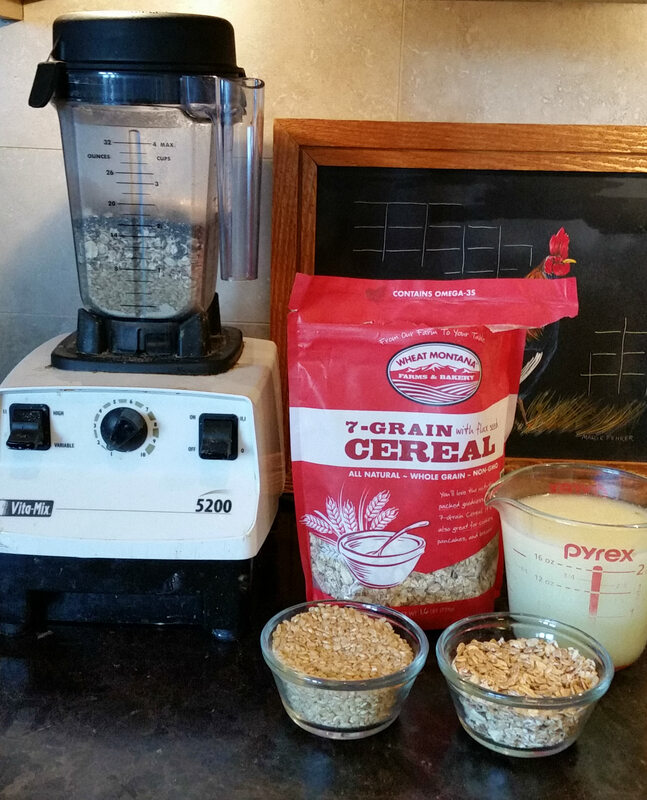 Today I am grinding brown rice, 7 grain cereal & chia seeds to prepare my flour blend. a pinch of baking soda…. The whey is rich in protein and can be used in soups and well… dosas “Indian Crepes” The greenish white color of the whey looks suspiciously like lemonade but it doesn’t taste like it.My son very happily picked up a jug of what he thought was lemonade and to say the very least was sorely disappointed. But when it was transformed into a Dosa…he was happy! Variations : You can add shredded carrots, zucchini and even cheese… and make some Dosadillas… The Rice flour & Quinoa blend is gluten free….